Our second SongFarmers – DME Gig Harbor Gathering! Our second SongFarmers – DME Gig Harbor Gathering! 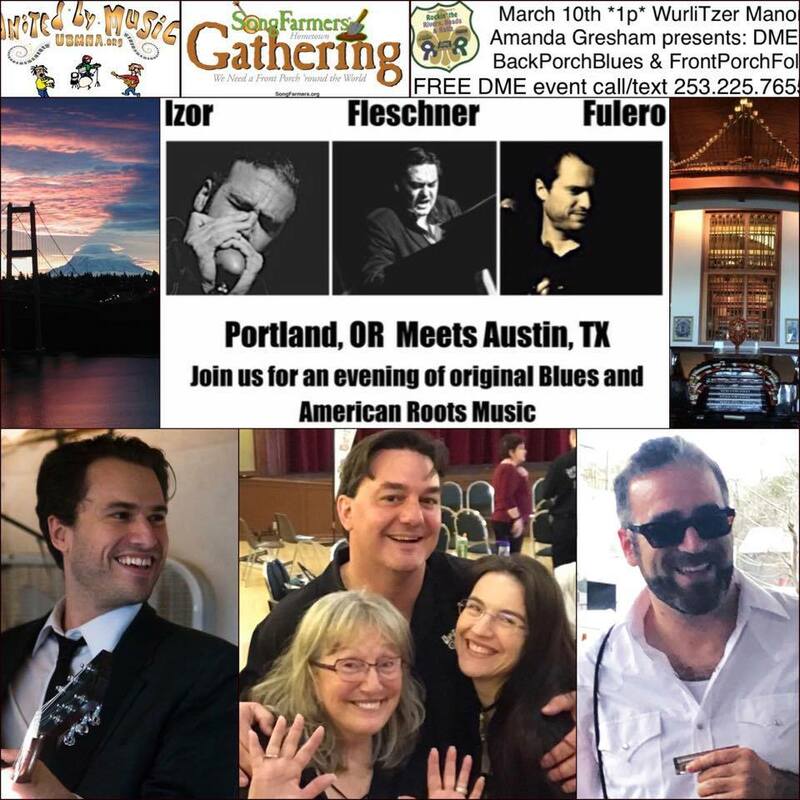 Special guests for March 10th is a trio of band leaders from Austin Greg Izor and Josh Fuleroand Portland, Dave Fleschner! March 10th! 1-3 PM Amanda Gresham’s DME Back Porch Blues meets Front Porch Folk. 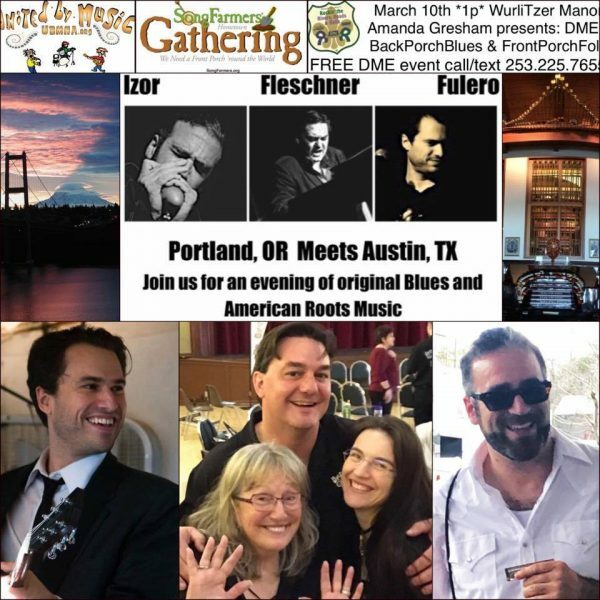 Power trio of Band Leaders: Greg Izor, Dave Fleschner and Josh Fulero gather to bring us their music and be with YOU as you share music with friends in the community in our second SongFarmers Clubs Of America gathering in Gig Harbor. PLEASE BE HERE FOR THE GROUP SONGFARMER GATHERING PHOTO AT THE START OF THE DAY! Greg, Dave and Josh start off the day with a short set, then all you pickers, fiddlers, strummers, singers and others join in! I’ve already heard from a few of you that you’ll be here! FREE! Just bring a dish to share and your fine spirit. Why? “Because we need a front porch around the world” – Michael Johnathon ..
Just InBox Barbara by priv msg, with your email address.